There must be eleventy billion uses for washi tape. 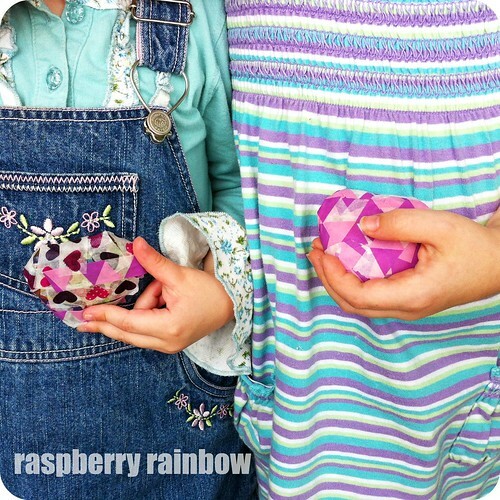 This week, we discovered one more use for washi tape: decorated rocks. 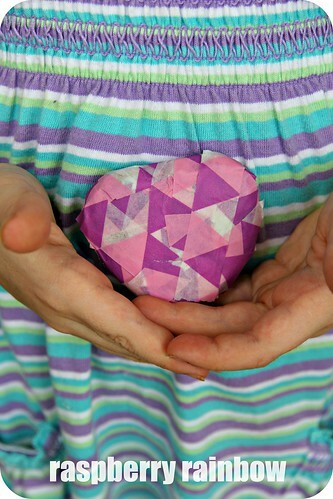 Grab some washi tape and a rock. Pre-cut the washi tape for little kids. For Zoe, who is 3 years old, I cut many strips for her and stuck them on the edge of the table. She could then easily use them to cover her rock. 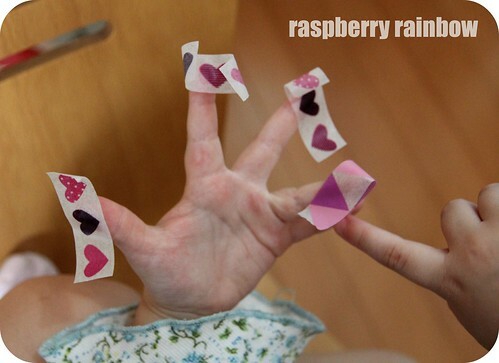 Bigger kids can rip it easily themselves or use scissors to cut their own strips. 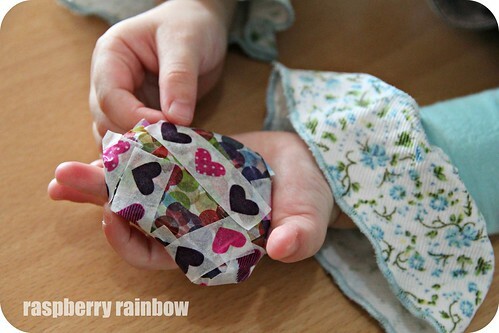 Cover your rock with as much or as little washi tape as you like. Use the one type of washi tape or mix it up. My girls loved this activity. I know we will be making more of them soon. What a good idea!! I have not started on the washi tape collecting yet. I'm going to have to wait until my stash busting year comes to an end. If I can survive that long that is!!! 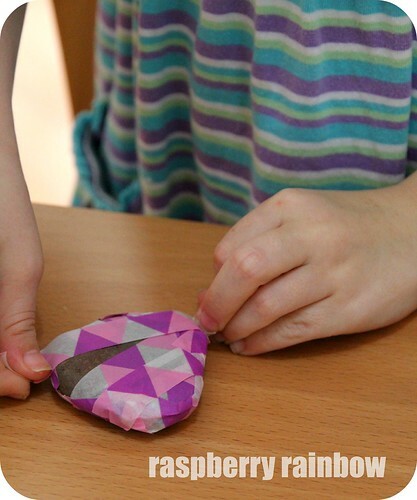 Very sweet... what a neat simple crafting idea! I think that washi tape could be highly addictive and for that very reason I'm denying its existence! The possibilities are endless for using washi tape. I love that it comes in so many different designs too. A great craft idea decorating the rocks.